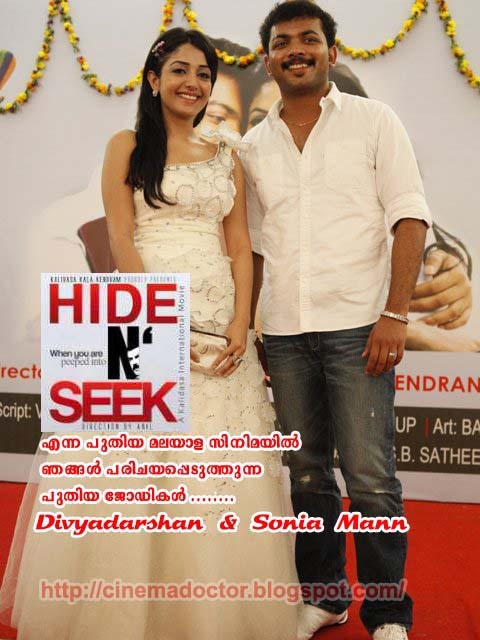 New Malayalam movie titled as Hide and seek directed by Anil was performed last week. 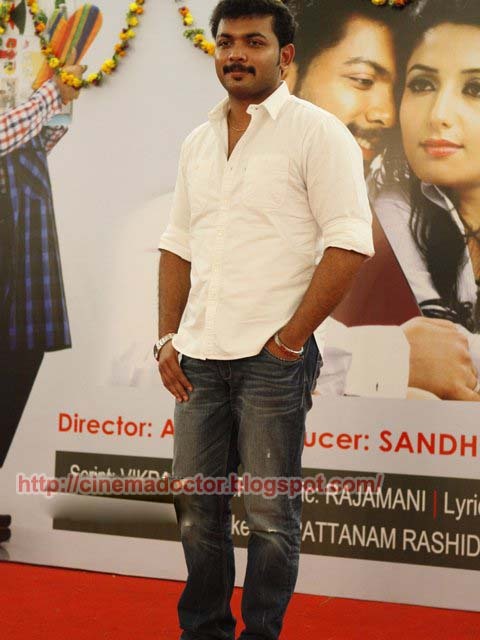 Divya Darshan, nephew of actor Mukesh is making his debut through this film. Director’s Lal Jose, Ranjith, producer of the film Divya Darshan’s mother and sister of Mukesh, Sandhya Rajendran, Sandhya’s husband E.A.Rajendran, actor Anil Murali, Bobby Chemmannur and many other prominent persons attended the function. The female lead role is done by a theatre artist Sonia Mann from Punjab. Punjabi actress Sonia Mann, who created some sensation after getting a chance to act in a Malayalam movie, has to wait to enter in to Malayalam. As a sudden development she has opted out of the movie titled Hide and Seek. Anil, the director of Hide N Seek has confirmed that the Punjabi actress has packed off from the sets after some days of shoot. Natasha who plays a salient role in the director’s next flick ‘Mantrikan’, which is awaiting release, has replaced the Punjabi actress. Talking about the reasons behind the sudden change the director pointed out the language problem as the reason for replacement. The Punjabi girl however, accused the crew of the film for the mess up. She has reportedly said that there is no coordination and pre planning. Sonia is dejected but she is not down. The pretty actress is attending a workshop for the shoot of yet to be titled movie directed by Manish Jha. Meanwhile, the shoot of Hide N Seek is progressing in fort Kochi with Natasha stepping in to Sonia’s shoes. Labels: HIDE N SEEK | Malayalam Movie | Review | Videos | Posters | Stills | Cast and Crew.